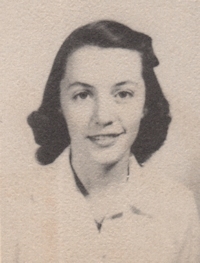 Obituary – Hagan, Peggy Lorraine (Hinkle) « Perry High School Alumni Association, Inc.
﻿Red Hots 50-52; Cheer Leader 51-52; Glee Club 50-54; National Junior Honor Society 50-51; Mixed Quartet 51-52; Class Assemblies 50-54. Peggy Lorraine Hagan passed away unexpectedly in her sleep on October 31, 2011. She will be greatly missed by all whose lives she touched. She was born October 15, 1936, in Miami, Oklahoma and married the love of her life, Dr. Robert L. Hagan in 1956. They moved to Phoenix in 1963 where they raised their three children. Her life revolved around her family and her faith. 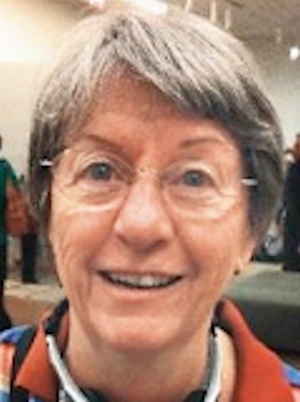 She was a Girl Scout leader for her two daughters and then for her granddaughter and was Willow Springs camp director. She volunteered her time and energy for countless organizations including Maricopa County Medical Auxiliary, Phoenix Museum of History, Phoenix Symphony Guild, and Desert Mission Food Bank. Always active in her church, Peggy was currently serving as Church Administrator at Orangewood Presbyterian Church. Her family and friends will remember her generosity, loyalty, encouragement, selflessness, sense of adventure, silliness, beauty and unconditional love as well as her incredible ability to organize anything and everything. Peggy taught us to see goodness and potential in every individual and to appreciate the beauty in everyday things. She is survived by her three children: Dr. Erin (Steve) Bradley, Shana Hagan, and Kevin Hagan; her grandchildren Lizzy and Jeremy Bradley; and brother-in-law Dale Hagan. A celebration of her life will be held at 11am on Saturday, November 5, at Orangewood Presbyterian Church 7321 N. 10th St, Phoenix, AZ, 85020. The family has suggested that those wishing to give a memorial consider Orangewood Presbyterian Church Endowment Fund.